hd00:121950s-1960s : Hand washing on a sink. 4k00:15POV of the feet of a Woman with a White Dress Walking Along Shore Line On Beach At Sunset. hd00:18Problems and protection of children. Childhood Sadness, loneliness, despair. Regretful small baby child toddler boy on a swing . Top angle. hd00:21Repairs. Painting of the walls white. 4k00:11Close up shot of a master doing mehendi on woman's hand. 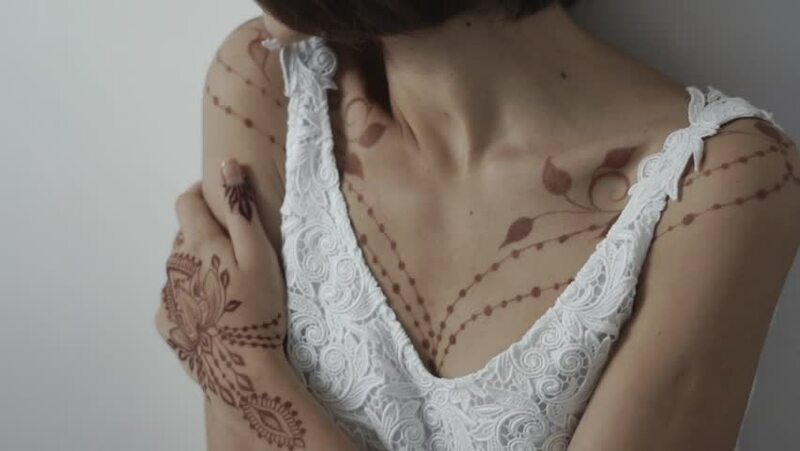 Woman is drawing flowers with henna. Body art. hd00:43Close up shot of a process of applying henna on woman's hand and fingers. Beautiful mehndi desing. Traditional body art. hd00:14Portait of a beautiful brunette women sitting on the couch at home. Lovely woman is happy and smiling. Spending time with friends. 4k00:15Close up shot of a woman doing mehendi drawing on friends hands indoor. Woman carefully drawing with henna. Lovely flowers and traceries.